Each section is titled in Bold coloured font and underlined. Each of those titles is a clickable link. To get to the area you want to post in you click the underlined title and it will take you there. This is an example of how to find your way around Help and Support and post in the correct thread. You can apply this to most areas of the forum. In the Help and Support section click the Help and Support link. You will then be taken to that section. There are 2 pages of threads. This is an example of some of them. 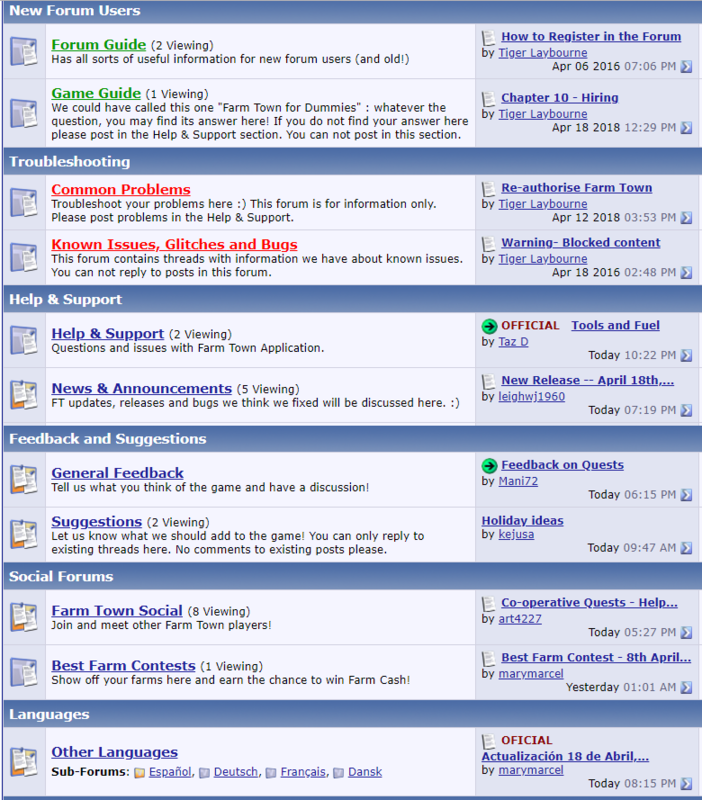 As you can see each official thread has a title and is underlined, which means it is a link. Look for the title that is related to your issue. Click that link to be taken to the first post in that thread. If you can not find a title that is related to your issue scroll to either the top or the bottom right of the page and click the second page. Once you have found the right thread, click the title of that thread eg Tools and Fuel and it will take you to the first post on page one. Read that post and see if it answers your question. If it does not go to the last page and read the last pages of any posts there. If it is a recent issue your question may have already been answered if someone else has already posted it. Check the dates on the posts there to see if the posts there are recent. To get to the last page you will see both at the top and bottom of each page the following. Click Last to be taken to the last page. When you have finished typing your message, click the “Post Quick Reply” button and your message will be posted. Your post will be answered as soon as possible. Please refresh the page every now and then to see if you have had a response. Also check the pages, your answer may be on the next page. Last edited by Tiger Laybourne; May 03 2018 at 08:59 AM.